The Marlin 336 is a popular lever-action rifle that has been produced since 1948. It is very reliable and still popular nowadays. Some call it the best deer rifle ever made. There is no need to spend a large amount of money to get a good scope for your Marlin 336. The reason is the max magnification the Marlin 336 needs is a 9x, or a 12x at most. Anything more will be an overkill and will just add weight to your rifle without any additional benefits. The best scope for Marlin 336 would be the one which is the most suitable one for your needs. Do you tend to shoot outdoors and on different distances? 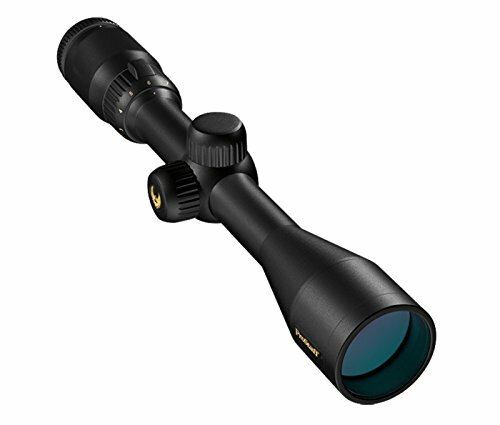 If so, great, scopes that are waterproof and have variable magnification have been reviewed below and would be a great choice for you. Presented below are the 4 scopes which we believe are the most suitable ones for a Marlin 336 on the market. You may find Marlin 60 scopes interesting if you are a fan of Marlin. Leupold is known for its quality, and the VX-1 Duplex Matte scope lives up to this legacy. Whether it be a generous eye relief or optimum brightness, this product delivers it all. A scope is quite useless if it can’t be used in varying lightening conditions. After all, the weather can be unpredictable and you can’t plan your hunting adventure around it. To provide users with clarity in varying lighting conditions, the VX-1 Duplex scope features a multicoated lens system. This aids in delivering enhanced clarity throughout the visual field. Additionally, it provides you with sharp images even when the sun is down. When it comes to the unpredictability of weather as mentioned above, it also translates to rain and fog spells. Do such conditions mean you should lose out on an exciting hunting adventure? Well, to ensure you don’t need to answer this question, this scope has a waterproof as well as a fog proof construction. Leupold’s infamous nitrogen sealing technology plays a role in achieving this feature. It renders the scope usable during both rainy and misty days. Those of you who value aesthetics might wish all of the products you have to be stylish, even if it is a scope. There is nothing wrong with that. Everything, including hunting, seems much better when you look good doing it. This is why you might prefer the sophisticated matte black finish of this scope. When you combine this with the sleek design, you are bound to agree that the product looks great with a Marlin 336 rifle. 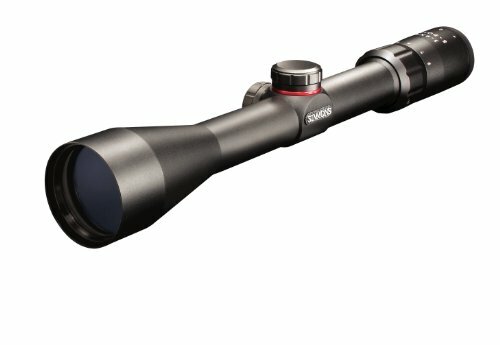 So, with this scope, you can hunt in style. One of the best marlin 336 scopes. The Leupold would also be a great .243 optic. It comes with a 3:1 zoom erector. The magnification range offered is 3-9x. The objective lens diameter is 40 mm. The adjustment range is 23 MOA. The field of view has a range of 14.6-34.6 feet at 100 yards. The inclusion of the tactile indicator allows you to zoom in and out with a mere touch. Whenever you are looking for hunting and optical gear, the chances are that you will find a Nikon item. This is because this brand is considered to be one of the top companies in this niche. It offers a variety of scopes, and this ProStaff Matte Black scope is a great addition to this line. This would also make a great scope for mini 14. While hunting is fun, it can also lead to quite a few accidents and your eyes are the first part of your body to get affected. How? Well, imagine this scenario. You are staring intently into your scope and take a shot. Upon doing so, the rifle recoils and so does the attached scope. Bam! It hits you right in the eye. Nikon plays its part in making sure such accidents don’t happen by providing a generous eye relief so that your eyes are far from the scope to begin with. Since it is patented, this technology is exclusively offered by Nikon and allows this scope to stand out from its competitors. This feature allows you to hold your target at different ranges. By doing so, it makes hunting over long distances a piece of cake. This ease is further guaranteed by the addition of see-through ballistic circles that let you pinpoint your target as accurately as possible. However, this doesn’t mean that the product is merely made for long-range shooting. You can effectively use it to target preys that are at a short distance too. In most scopes, every time the rifle recoils, your adjustments and settings get affected. Once this happens, the scope takes quite some time to zero in on the alterations you make. However, this Nikon scope manages to avoid this pitfall by including positive-click reticle adjustments that hold their ground even during heavy recoil. Would fit the M&P 15-22 as well. The scope has a magnification of 3-9x. The field of view is 11.3-33.8 feet at 100 yards. The scope offers a 3.6-inch eye relief. It transmits up to 90% of the light. Are you looking for a scope that is budget friendly yet delivers quality features? Well, Simmons Truplex Riflescope might be a suitable option for you. Regardless of how big or small the purchase is, you should always look for durability. This is also true in the case of scopes unless you like spending money and time on getting new products every other day. We found that this Simmons riflescope manages to last a long time. This is ensured by the rugged construction that is resistant to water, fog, and shock. Not only does the scope perform in adverse climate conditions, but it also withstands the heavy recoil, thereby ensuring its longevity. If getting the scope to the right setting is complicated, you are highly likely to miss your target by the time you correct the settings. This is not the case with this scope as it is equipped with a quality adjustment system. The windage and elevation system allows you to perform quick alterations to the settings, hence ensuring you get your scope ready before you lose sight of your prey. Yet another thing which makes or breaks your hunting trip is how fast the scope is able to zoom in on the target. This scope comes with quick target acquisition that lets you lock onto your prey just seconds after you spot it. This greatly increases your chances of hitting the target. The product features a matte finish. The magnification offered ranges from 3 to 9x. The objection lens diameter is 40 mm. A 3.75-inch eye relief is delivered. The adjustment range is 60 to 100 yards. The field of view is 31.4-10.5 feet at 100 yards. The product weighs 10.1 ounces. Barska is a popular optic gear company, and its Huntmaster riflescope line has been successful in being perfect for Marlin 336 rifles. Nothing serves to be a better evidence of durability and quality of a product than an extended warranty. Think about it, why would you, as a company, vouch for a product you know won’t last long? Hence, the fact that Barska has equipped this riflescope with a limited lifetime guarantee means you can expect the product to last for a long time. Even if it doesn’t, getting it repaired will be much more affordable. Nothing spoils the fun of hunting down prey more than being surrounded by gear that is too complex to use. This is because in such cases, you end up spending more time getting the scope ready than actually hunting animals. However, when it comes to this riflescope, you will find it to be easy to use. Whether it be mounting it on the Marlin 336 or quickly adjusting the settings, this scope doesn’t take much input from you and can be quickly adjusted to suit your needs. The world we see through our eyes is not as accurate as we think it is. This is due to the presence of parallax error that distorts our vision. This is why even though you might think you are precise with your target, there is a high chance that you are not. This scope adjusts for parallax error, thereby ensuring precision and accuracy. The magnification offered is 3 to 9x. The objective lens has a diameter of 40 mm. The diameter of the tube is one inch. The field of view is 36 feet at 100 yards. The weight is 12.9 ounces. The optics are fully coated. A 3.3-inch eye relief is offered. Among these four products, we found the Simmons Truplex Riflescope to be the best scope for Marlin 336. 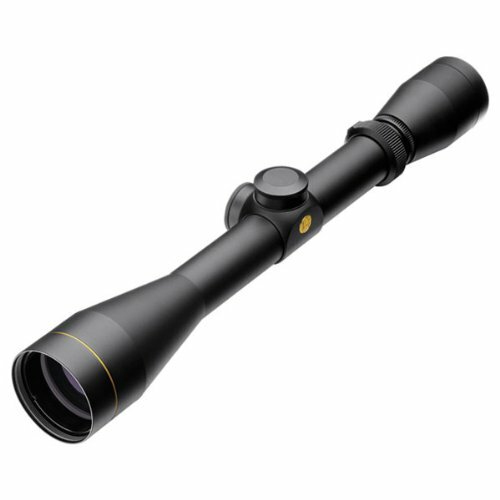 Not only is this scope budget friendly, but it also offers a long eye relief, lightweight, and optimum performance. However, this does not mean that other scopes are not worthy of investment. Our choice might be different from yours since it all boils down to personal preferences. Therefore, there is no such thing as a universally best scope for Marlin 336. Regardless of which product you opt for, make sure you choose a quality scope for your Marlin 336. This will greatly improve your adventure. Select portable and quality scopes. If you can help it, it is always a good idea to have a stylish scope. Be wise with your decision and find the best scope for Marlin 336 to get ready for the hunting season.